W. W. Norton & Company, 9780393285543, 256pp. Lydia Millet's chilling new novel is the first-person account of a young mother, Anna, escaping her cold and unfaithful husband, a businessman who's just launched his first campaign for political office. When Ned chases Anna and their six-year-old daughter from Alaska to Maine, the two go into hiding in a run-down motel on the coast. But the longer they stay, the less the guests in the dingy motel look like typical tourists--and the less Ned resembles a typical candidate. As his pursuit of Anna and their child moves from threatening to criminal, Ned begins to alter his wife's world in ways she never could have imagined. 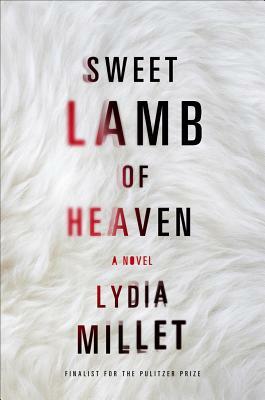 A double-edged and satisfying story with a strong female protagonist, a thrilling plot, and a creeping sense of the apocalyptic, Sweet Lamb of Heaven builds to a shattering ending with profound implications for its characters--and for all of us.